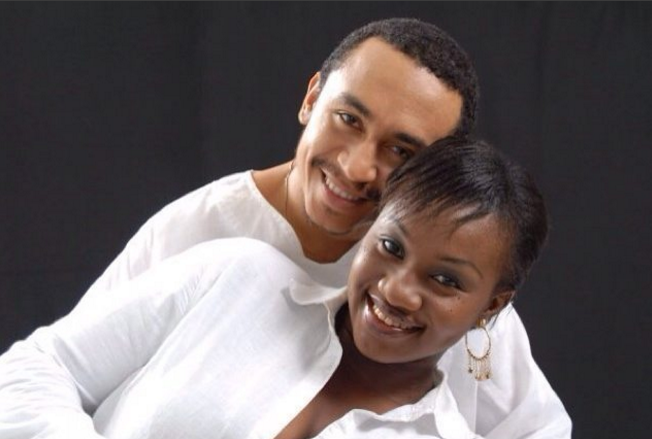 Following the recent troubles between OAP Freeze and his estranged wife, Opeyemi, an anonymous friend of the couple has penned down an open letter to advise both of them. I see what is happening on social media and it breaks my heart. It breaks my heart because there was a time you both loved each other. There was a time that Freeze was the hottest halfcast boy that Ope couldn’t stay without. 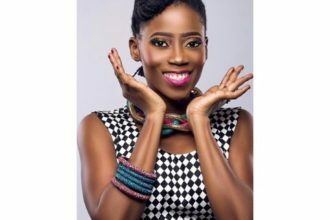 A time when Ope was the most beautiful slim, tall, dark skinned girl that was the apple of Freeze’s eyes.You both know me to mind my business but I can’t sit back and see what you are doing to yourselves. Yes, Freeze has his flaws, tons of them that I won’t mention but one thing I know is that he is not a bad man or a bad father. I worked with him for donkey years to know this. I always knew that your (both of you) marriage would end sometime in the future because Freeze was always miserable…your (both of you) marriage made me question marriage. Freeze would rather hang around the office than go home. I remember Freeze bringing his kids to the studio to do shows with him…I really admired their camaraderie ???. He was proud to show them off…especially his very intelligent son, Ayo and Adun his very pretty daughter. You all made such a beautiful picture despite your issues. Sometimes when I don’t see the kids for a while, I would ask and he would proudly say they had travelled abroad with you; Ope for the holidays. I knew him to be a man who cared about his family. He would boast with you Ope…saying how great a cook you are.??? despite you having marital problems. He told me once told me that you won a beauty pageant. I could sense that he still wanted things to get better between both of you. He just was lost, in a way I couldn’t understand. Maybe he didn’t know how to make things better…but he cared. Ope I know you as a wonderful woman, a very good cook too. I remember your Banga soup with bush meat brought by Freeze from his travels and how I sat down at your Dinning table to enjoy it with pounded yam…too delicious…???. You Ope also packaged some bush meat for me to take home…a generous woman you are. You also would do anything for your kids and they adore you. From a woman’s perspective, I saw that you were not happy too. Yes…marital stress can break even the strongest of nerves. Remember when we all went for a mini vacay at La Campaigne tropicana and we all stayed in the same apartment years ago? I could feel your pain. The pain of a woman who had a tough life and just wanted things to go well. A mini vacay that was supposed to be enjoyed became a quarrel between both of you. What I saw then was that you both had a problem with communication. As they say, Men are from Mars and Women are from Venus. I saw it crystal clear. Maybe you weren’t meant for each other or maybe are but you both just lost your ways…because independently, you are both good people. Ope is the type of girl that struggles with a man. Years ago, she would fetch water in a bucket, place it on her head and climb up the stairs to take care of her home. Yep…she is that kind of woman. The kind of woman that supports a man in her home. My man Freeze and my darling Ope. Please keep the kids out of this or you will kill something fragile in them. You are both great parents. That, I can attest to. Things just got bad between the two of you…as it does in most marriages but we all handle it differently. Some work it out, some can’t. Ope dear, as a woman and a mother I feel you and understand you more than you know. I know some of your struggles and I know it hurts to think of all the years you gave and gave and gave in your own ways…only for things to turn out this way. Just forgive and forget. The God we serve will never forsake you. You will see happiness and sun shine in your life. Focus on your beautiful children and please speak no evil of their father to them. This issue is between you and Freeze. They will grow up soon and judge for themselves. If you play your role well…they will grow to respect you more. My big brother Freeze. We know you are now with Benedicta and we wish you both well. Please remember your kids are your kids. Never forget that. You will grow old tomorrow and you will need them. You will not always be young. It is in your old age that you will need around you…PLEASE ?? ?…Play your role well as a father in their lives and you will be blessed for it. Trust me…when they grow up and understand things better after experiencing life for themselves, they will not judge you harshly because they know we all live in an imperfect world. So please…don’t close that door. Benedicta! Do not aggravate issues by pouring fuel in the already burning fire. Remember this…HOT AKARA MUST BE COLD. Handle your relationship with sense. The man you are with can wake up one day and decide to go back to his ex…YOU NEVER CAN TELL WITH MEN. ???. Just maintain your lane and be at peace with all. By the tune of this letter, I know you all (Freeze and Opeyemi) can guess who I am.